Is The Carrera Sulcata Mens Mountain Bike As Impressive And Responsive As Advertised? 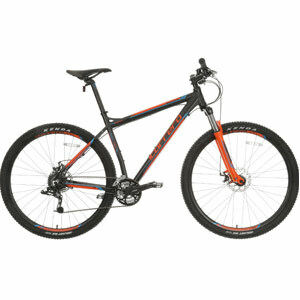 The Carrera Sulcata Mens Mountain Bike immediately seems to have a lot going for it, based on the specification. Not only is a tough looking 29er, with quick release wheels, a strong Suntour suspension and a Suntour Triple 42/34/24T chainset, it has a weight of 15.6kg, 24 speeds and an eye-catching colour scheme. This bike is meant to offer a “show-stopping finish” and have riders “soaring over obstacles”, but is it meeting the expectations of its buyers?